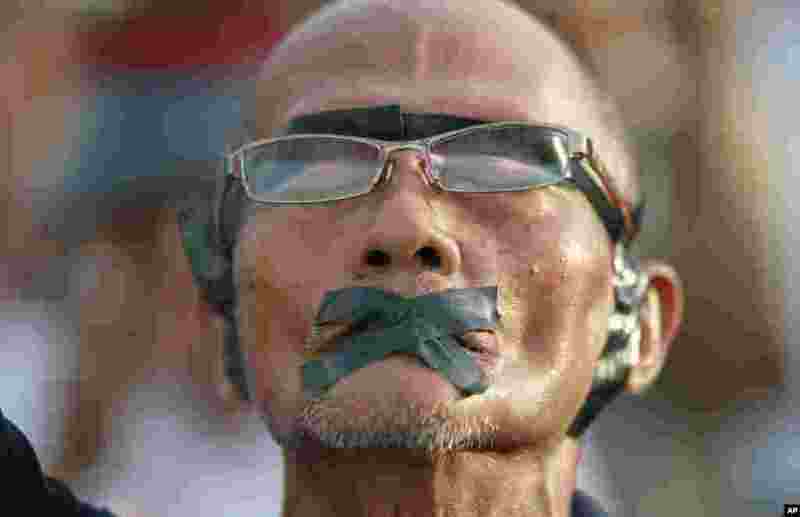 1 A protester displays how his rights were violated during an anti-coup demonstration at the Victory Monument, in Bangkok, May 28, 2014. 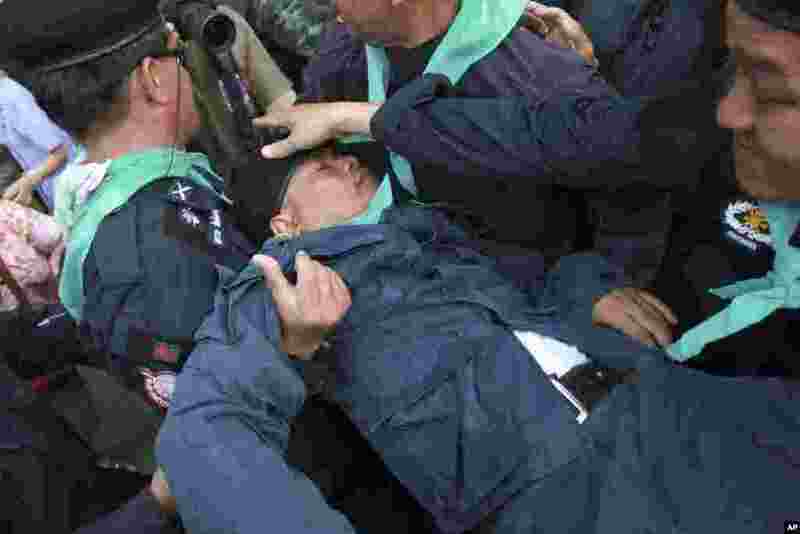 2 A Thai riot police officer (center), is carried by colleagues after he was knocked down by an object thrown by protesters during an anti-coup demonstration at the Victory Monument, in Bangkok, May 28, 2014. 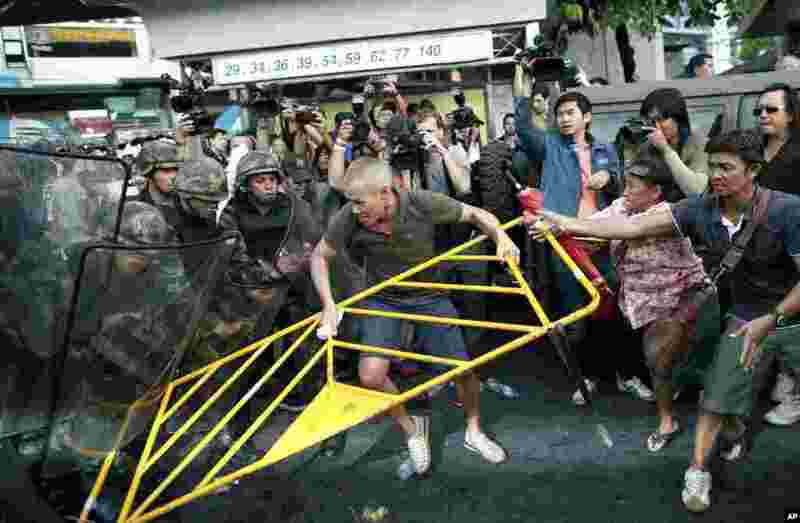 3 Protesters scuffle with Thai soldiers during an anti-coup demonstration at the Victory Monument, in Bangkok, May 28, 2014. 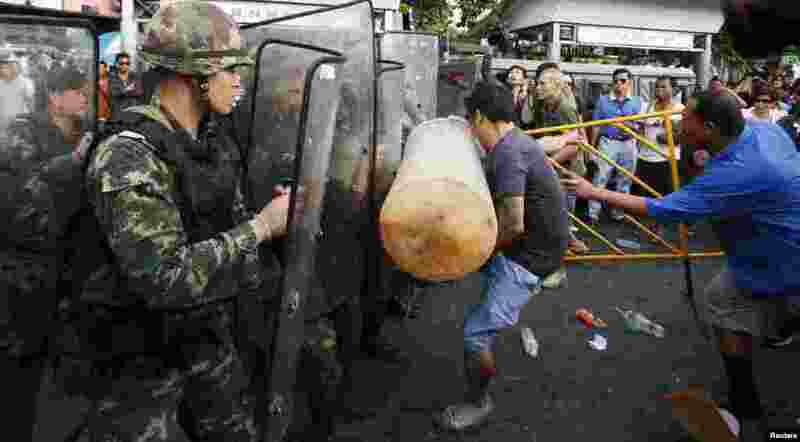 4 About 200 people confronted troops and police during a rally at Victory Monument, in Bangkok, May 28, 2014.